In many ways this track epitomizes the musical character I try to bring to our parties – at once deep, dark and soulful. This is Robert Hood at his best, sampling Aretha Franklin under a high energy techno pulse. In the hands of any other producer it would sound pastiche. 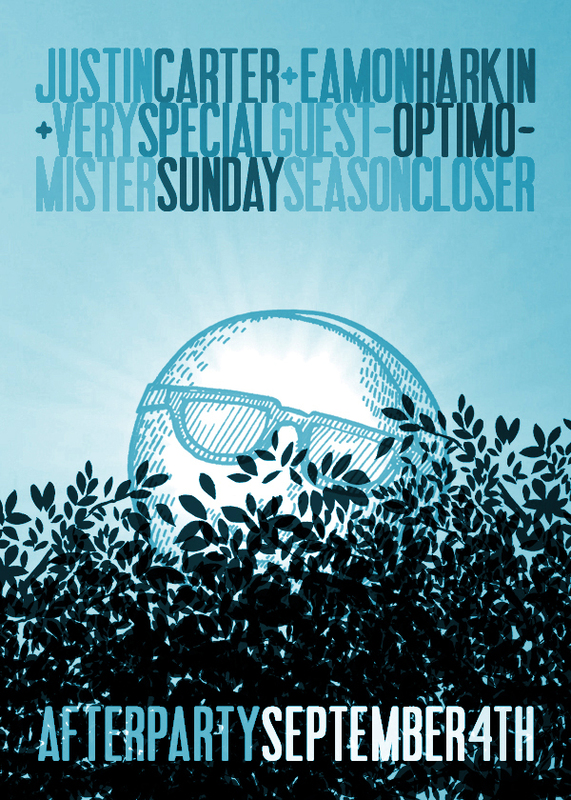 I wrote about the summer Mister Sunday season this time last year, so I didn’t really want to cover old ground; but when I look back on 2013, the final party we did at Gowanus Grove sticks out significantly. In fact it was so special, I have no doubt I’ll cherish the memory to my dying days. So we had some power issues on Sunday. We think it was all the new lights we’re using to keep the Grove illuminated as the sun goes down earlier. Or it could’ve been the four-mixer setup we had in the booth. Anyway, we think we’ve got it fixed for this week, but here’s a video of a spontaneous drum circle erupting when the lights went off last Sunday. Then Martin Luther King, Jr. Then Bob Marley. It was all good fun in the end. For the third year in a row, we attempt to bring Glasgow and Brooklyn together on the banks of the Gowanus Canal. Two years ago the venue was closed down, so we did it at Brooklyn Fireproof, and last year there was a hurricane that forced the soiree indoors to Littlefield. We can feel it this week, though. It’s gonna happen. Send an RSVP to mister@mistersaturdaynight.com for $10 reduced admission before 5pm. Otherwise it’s $15. You can get advanced tickets right this way. This is Mister Saturday Night. We’re a party from New York City. Brooklyn to be precise. 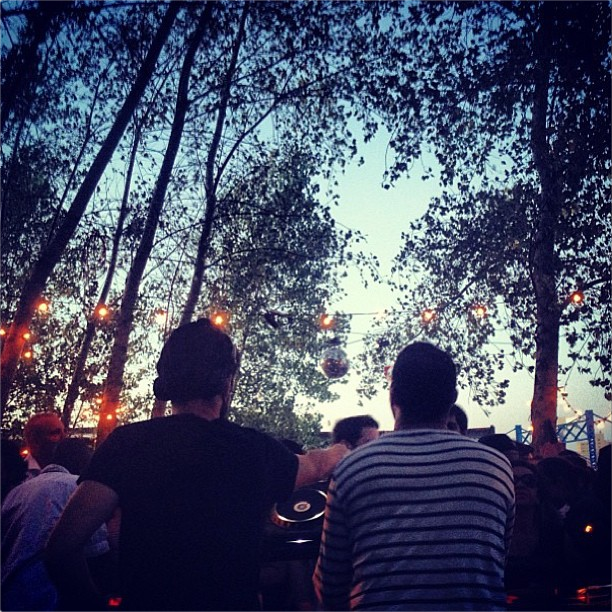 Twice a month we roll our soundsystem out of storage, take it to a secret loft, hang a disco ball, invite some friends and get down until the sun comes up. 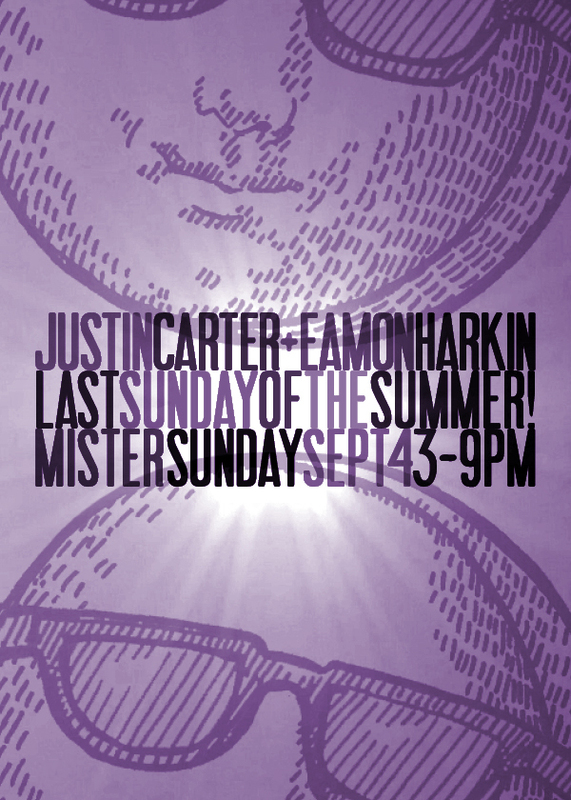 Eamon Harkin and Justin Carter, the Mister’s residents, often play all night. Occasionally a guest will play alongside them. No matter who’s playing, though, it’s about as no-nonsense a good time as you can have. Until now, Mister Saturday Night has always happened in New York City. It’s the only place we’ve ever felt fully at home (it being our home and all). But last year, when Eamon and Justin were invited to play with Floating Points at Plastic People, we fell in love. The reason why we host our party in Brooklyn lofts is because there’s no New York City club that really does it right. When we stepped into Plastic People, though, we found lovely people at the door, the bar and behind the scenes; cosy corners for chatting and a perfect dancefloor; and a pristine sound system. Check, check and check. 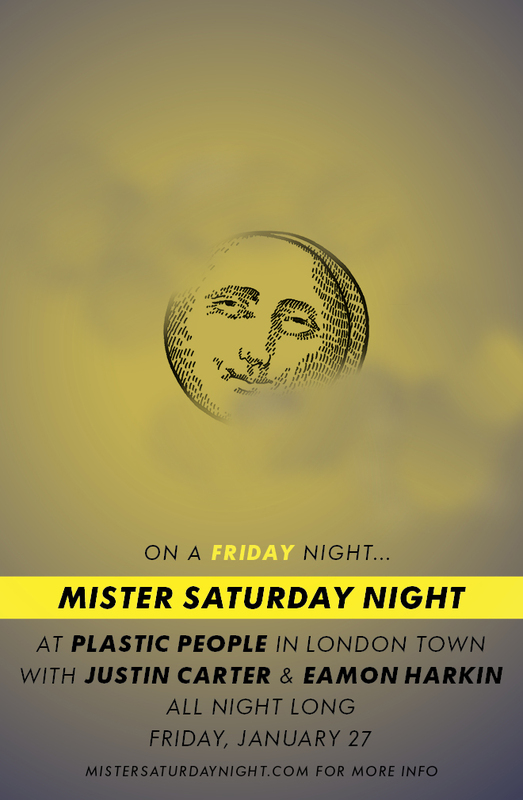 So now, we are elated to say that we’ll be hosting the first ever Mister Saturday Night outside of Brooklyn at Plastic People on Friday, January 27. (Yes, you heard that right. Mister Saturday Night will be on a Friday Night.) 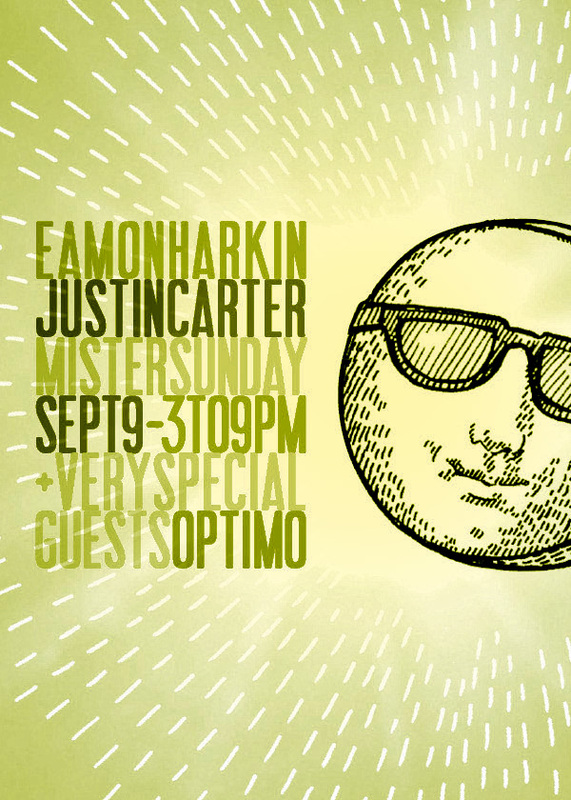 Eamon Harkin and Justin Carter will be playing vinyl all night long, and Plastic’s got all the other bits and pieces covered. Except one. That’s you. We’re hoping you’ll come and make it complete. 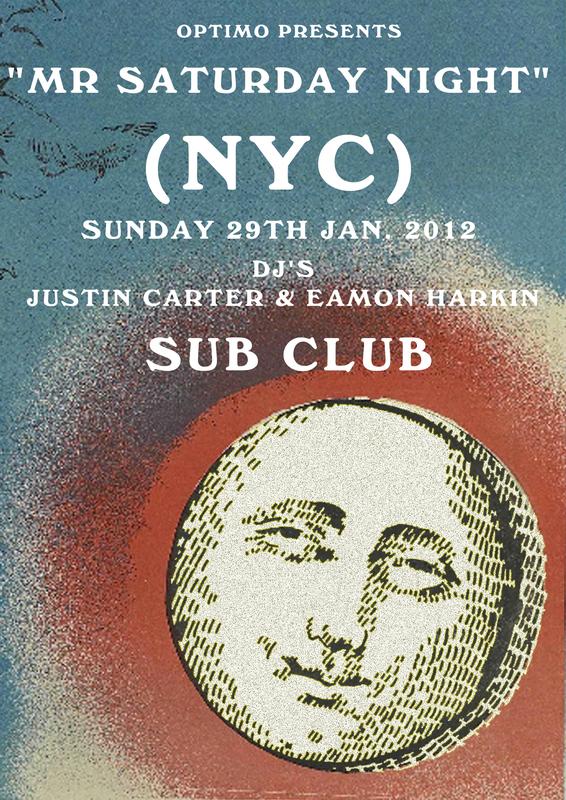 And then on Sunday the 29th, we’re at Sub Club all night long, playing for our Optimo friends. It’s gonna be a good weekend.